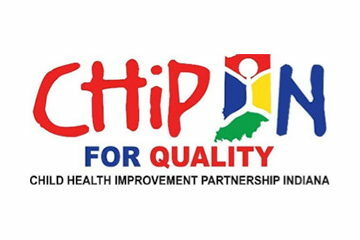 The Child Health Improvement Partnership Indiana (CHIP IN for Quality) is excited to offer practices in our state the opportunity to take part in a national adolescent immunization initiative, “National Immunization Partnership with the APA” (NIPA). This multi-state quality improvement (QI) research project, which is funded by a grant from the Centers for Disease Control and Prevention (CDC), is a collaboration between the National Improvement Partnership Network (NIPN) and the Academic Pediatric Association (APA) and is led by our colleagues at the Vermont Child Health Improvement Program (VCHIP). Indiana is among the states to enroll in the fifth cohort of NIPA and engage in this project to improve HPV immunization coverage rates in primary care settings. Patient Centered Medical Home (PCMH): Participation in this project can count towards outreach for immunizations and if applicable towards a health disparities assessment credit for 2017 PCMH. In addition, this could count towards quality improvement for a clinical quality measure and disparities in care credits. Please click here for more information, including requirements for participation and how to enroll. We hope that you will consider joining us for this exciting project. If you are interested in participating, enroll online at https://www.surveymonkey.com/r/NIPA_5_Enrollment or for more information or questions please contact Jennifer Le at Jennifer.a.le@med.uvm.edu , or you may also contact your CHIP IN for Quality lead for this project, Mary Delaney at mwdelane@iu.edu. Again, a response is needed by October 15th!